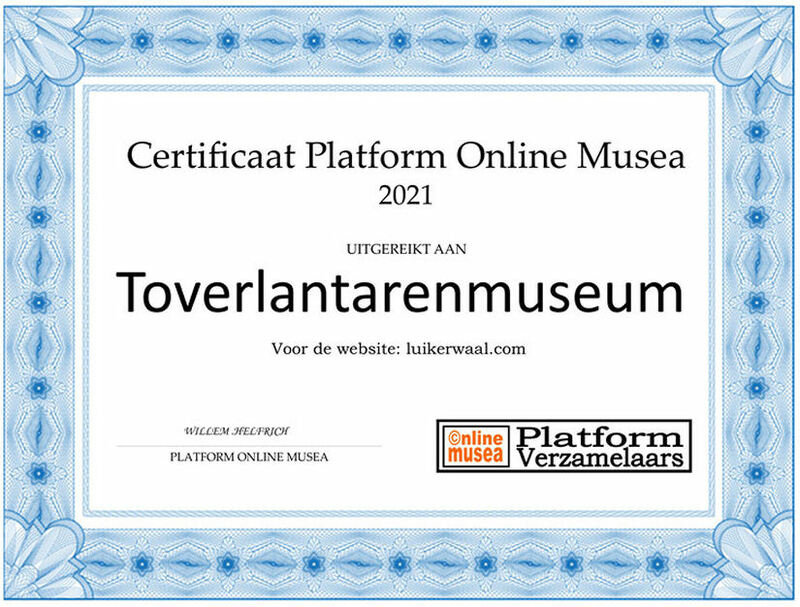 Gastenboek virtueel Toverlantaarnmuseum 'de Luikerwaal'. Of course I'd like to know what you think about this website. That's why I should ask you to leave your comments in my public guest book. Unfortunately my guest book was prey to attacks from spammers and hackers several times and so I had to close it. What a pity, for your reactions tickled my vanity greatly. 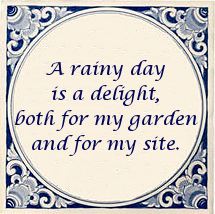 Of course I am happy when you appreciate my website. Yet I also want to hear your critical remarks, changes, additions or hints that could make this site still better. Also defects like a missing picture or link you can mention to the address below. I really do my utmost but unfortunately sometimes something goes wrong. Besides the Dutch version this site also appears in an English version, especially for the visitors from abroad. My knowledge of English is limited so I am aware that the translations are not always without grammatical errors. My apologies for that. Please send your responses to me by means of your own e-mail program, using the address below. Drawing on a beer mat. I want to continue until I die. 'De Luikerwaal' currently has the status of a Virtual Museum. A virtual museum is a museum that only exists online and not as such in a physical form. A virtual museum is also regarded as a hypermuseum, electronic museum, online museum, digital museum or web museum. As with a traditional museum, a virtual museum has been developed to illuminate a number of specific objects. This is analogous to traditional natural history museums, archives and art museums. (description Wikipedia). 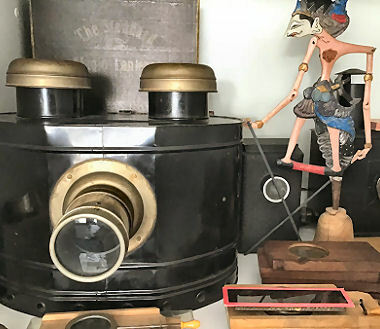 Because of the very large number of images of magic lanterns, lantern slides, related equipment, peripheral items and information, she deserves this name to the full. The fact that she has an appointment as 'Best Collectors Site on the Web' and has been archived by the Koninklijke Bibliotheek since 3 April 2014 as a digital heritage, can be seen as a quality characteristic. On a somewhat more modest scale, 'de Luikerwaal' also has a physical form. 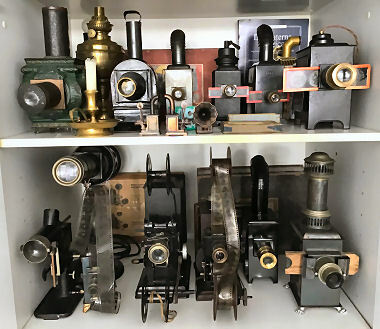 Currently, the physical museum includes over a hundred magic lanterns, a large number of stereo viewers, many magic lantern slides, old and modern optical toys, lithophanes, accessories and much more.